This photo is a good illustration of how we manage our pastures by rotating them. 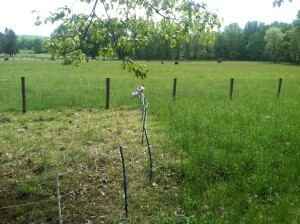 On the left the cattle have recently grazed while on the right the grass is allowed to grow. This time of year we will use our temporary fences with step in posts and wire on spools to have the cattle mow our yard rather than use the gas gussling lawn mower . Meanwhile, the cattle are fertilizing the fields with their manure and the fields themselves act as large solar panels. The grass and other forages act as carbon sinks which are important in this age of global warming. 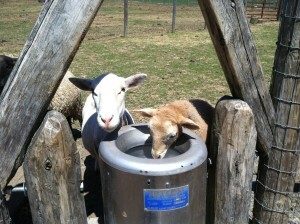 So this system is a win, win, win, for the cattle, for the environment and for our taste buds.